We have kept our family nights pretty low key since we moved and our new baby girl joined us. Lots of pajama parties here! 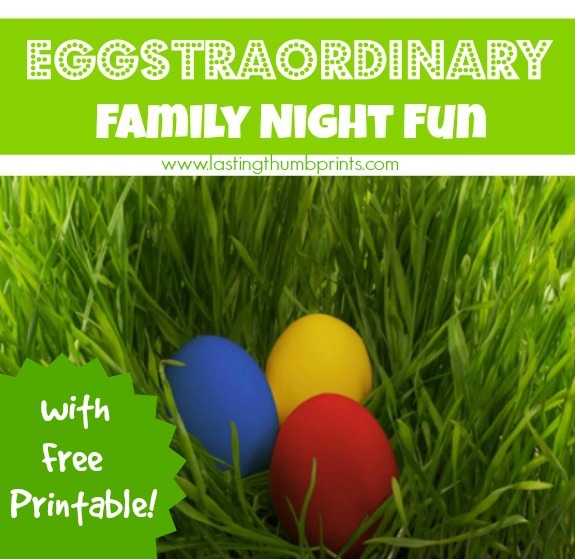 🙂 I’ve been ready to kick things up a notch and boy, did we have an eggstraordinary time with our latest family night. 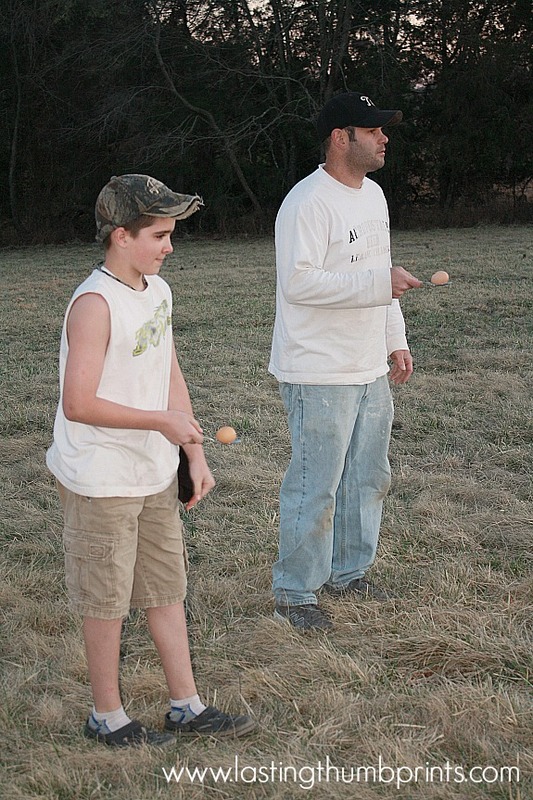 With Easter a few weeks away, a family night with eggs was just begging to be done. At least I thought so. It’s a family night theme that we have never done before, but we will most certainly be doing again! And not just in the spring. The kids started their night off with a meal served in plastic eggs like Kailo Chic. They always ask me to buy Lunchables when we go to the grocery store and I always tell them that we’ll make them at home instead. So, this fulfilled that request. I lined two plastic eggs with aluminum foil and filled them with peanut butter and ranch dressing for dipping. 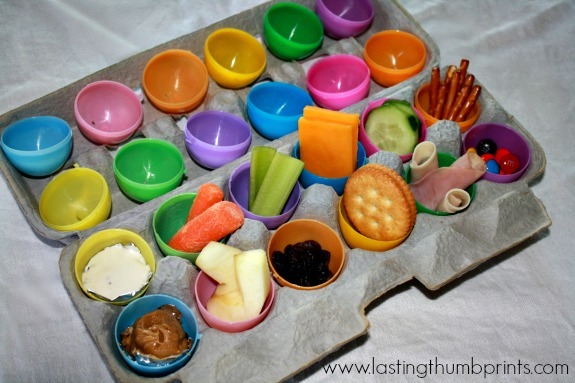 You could also make egg shaped sugar cookies or rice krispie treats to add something sweet. Our first activity of the night was egg painting. I found the idea for painting with eggs from Growing A Jeweled Rose from Pinterest a few months ago and knew my kiddos would love it. Who am I kidding? 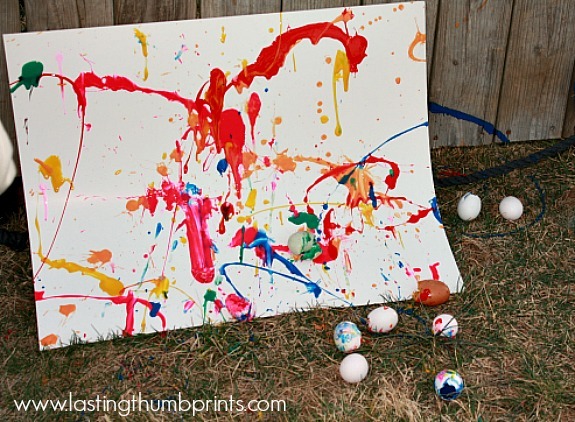 I knew I would love to throw eggs and make some art! 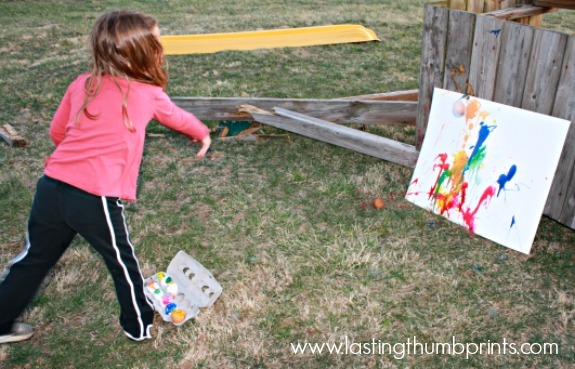 I used the swingset we lost in a violent wind to prop up the poster board. It was such a blast! But messy, y’all. Very messy. If you have a faint heart (or white carpets) do not try this at home. This egg had been raced with several times before I took the picture. 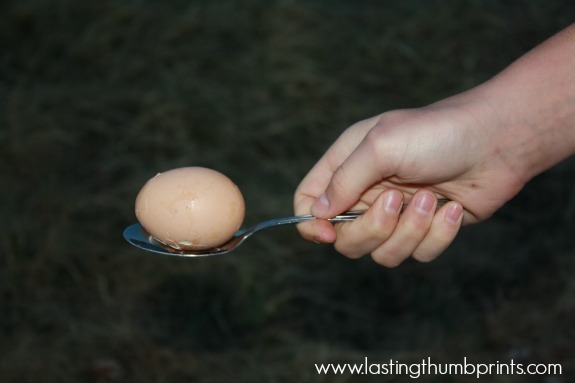 And for some good old fashioned fun, we raced each other with eggs on spoons. I think next time I’ll make an obstacle course for the race. Just in case you were wondering, they both won a race against each other. 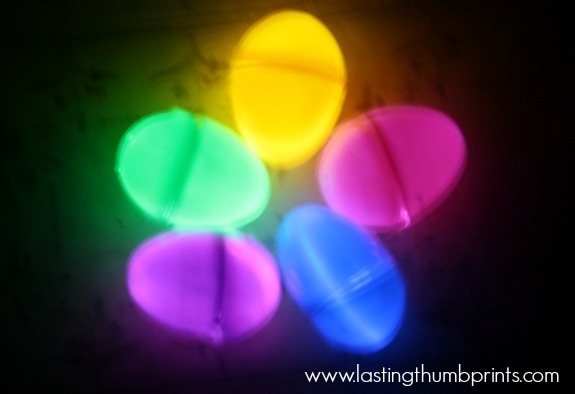 Our final activity for the night was a glow in the dark Easter egg hunt inside our home. The kids thought it was most egg-cellent. Sorry, I just couldn’t resist. I printed out this sign and it’s waiting to be used on the next dry and warm day. I changed the wording a bit from the original idea because I wanted something that we could use year round. I would love to surprise and bless another family in this way every couple months. It’s double the family fun! We filled 11 eggs with candy and encouraging notes with things we appreciate about their family. I’m so excited I can hardly stand it! If you’re interested in your own copy of this printable, it’s available to my subscribers. 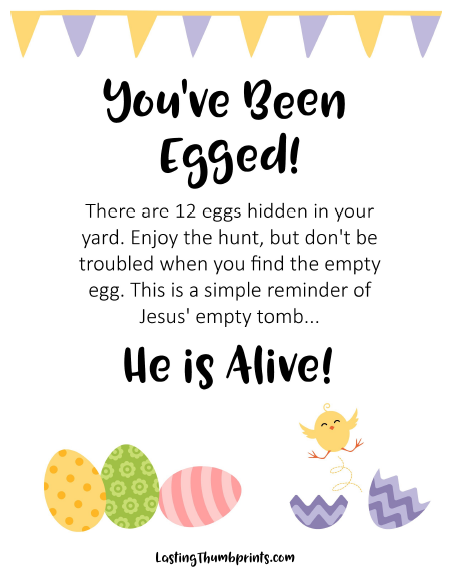 Just enter your information at the end of this post to receive the free You’ve Been Egged Printable and other exclusive freebies and content from me. 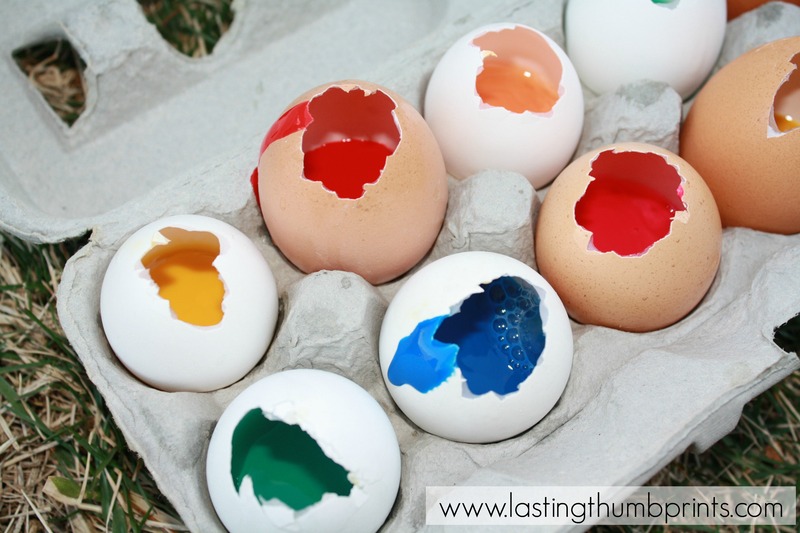 Do you have any other ideas how to use eggs for family fun? We’d love to hear about them! 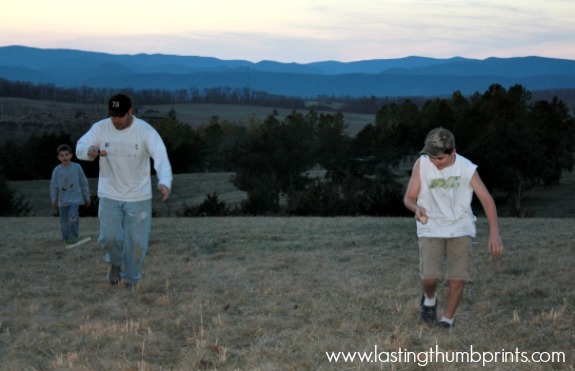 You can find our growing list of family night ideas here. You are so inspiring! I am definitely blessing a few friends with the egg game! Thank you! Your sweet words blessed me this morning, thank you! Thanks for the printable! We are going to have our families at church “egg” people in their neighborhood before Easter. Your printable is helping me be able to focus on something OTHER than creating a printable like it, so thanks! I plan to do this in an elderly neighbors yard. She has been my neighbor since I was 4 yrs old, and has been a surrogate Grandma to my kids and grandkids. She is going to love this! We will be egging people tomorrow… the nice way 🙂 Thanks for the great idea and printable!